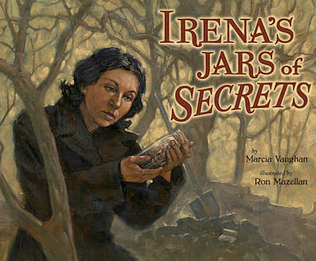 Picture books are a fabulous resource for building background knowledge on a historic topic. The true but ugly fact is that in most history textbooks today there's simply not much story. Without details and drama, few kids get excited about the past. Picture books to the rescue! While your curriculum may not include the Revolutionary War or a historical fiction text set in that time (such as Esther Forbe's Johnny Tremain ), you nonetheless can get some ideas for using multiple-perspective texts as we discuss the picture book interpretations of Henry Wadsworth Longfellow's The Midnight Ride of Paul Revere. However, if you like the Midnight Ride topic, one great way to use these ideas to to play up the poetry angle! April is, after all, Poetry Month. Also, the Battles of Lexington and Concord, which came as a result of the midnight ride, occurred on April 19th, so the timing is serendipitous. In the 1770s, which country owned the most colonies in America? How many colonies did Great Britain own along the Atlantic coast? Why were the colonies upset with Great Britain? (Large debts incurred due to the recent French and Indian War had prompted Britain to tax the colonies; this was done, however, without the colonists having any representation in Parliament, the law-making body of British government. Thus, the phrase "taxation without representation." The British government had also decided that colonial settlement should expand no further to the West; this upset George Washington and others who had commercial interests in lands beyond the thirteen colonies). For most picture book experiences in my class, I prefer a group read-aloud approach. That is certainly true of the Holocaust picture books we use to provide background for our Number the Stars unit. In the case of The Midnight Ride of Paul Revere, however, we took a different approach. I divided students into groups of four and gave each student a double-spaced copy of Longfellow's poem. Students read the poem as a group, underlining words and passages which they didn't understand. I then spread out the six picture books on the topic, and assigned each group a place to begin. Working just six minutes at each station, students read the book together and viewed the illustrations. They then attempted to add notes, definitions, and general thoughts and questions to their printed copies of the poems. As time ended, each group rotated clockwise to the next station which offered a slightly different perspective of the same story. How many of you were able to define unknown words or explain unfamiliar phrases by looking at the pictures in the books provided? Which words or phrases are still confusing? What did you group like most about this book? (hold up each book in turn) Overall, which book did your group find most helpful? Why would this historical event appeal to this poet? Following a very brief discussion of students' findings through the picture books, I introduce them to The Midnight Rider Virtual Museum, an interactive, online resource which allows students to read a hypertext version of the famous poem. As students read, they can click on any highlighted text for which they'd like more information. This resource allows them to independently confirm or emend any information which their group has recorded. The site contains additional printable resources which teachers can choose from to enrich the experience. A highly recommended follow-up to the picture book experience. Show the Disney film version of Johnny Tremain in class, or read select text passages from that book. Have students compare and contrast with the poem version of the famous ride. What other information does the movie or book provide that helps the reader to better understand the poem? ReadWriteThink.org features a multi-part lesson plan on Paul Revere which makes use of its online student writing tools and The Midnight Rider Virtual Museum. Even if you don't prefer to extend this lesson for four or five class periods, do check this site for the additional online references it provides. Paul Revere was just one rider charged with the task of spreading news. Who were some other Patriots who defied the odds in carrying out these dangerous missions? Why were couriers such as these necessary at this time in history? Provide some additional versions of the event, such as the graphic novel Paul Revere's Ride, as alternatives for the picture books mentioned above. As you study the American Revolution, assign these same student groups historical events or dates which they must set to verse using a given number of lines. Combine all groups' efforts for a class poem (and an effective study guide!). An older title but a very strong one is Eve Bunting's Terrible Things: An Allegory of the Holocaust. Not only can you tie it to the Holocaust but you can also teach about allegory.